Like all New Yorkers, Marzia and I were deeply affected by the devastation Hurricane Sandy left in its wake last October. Given the fast pace of the world we live in, it is easy to forget just how many people are still struggling to recover from Sandy, even today. This year’s La Festa del Barolo kicked off with a charity dinner at Eleven Madison Park to benefit Robin Hood’s Sandy Relief Fund. David Saltzman, Robin Hood’s Executive Director, shared details on the work his organization has done thus far, which includes disbursements of over $70 million. Specifically, the $45,000 we raised at dinner will be directed towards the rebuilding of homes that were damaged during the storm. For the occasion, I brought out a number of my finest and rarest bottles, many of which I sourced directly from the wineries years ago. 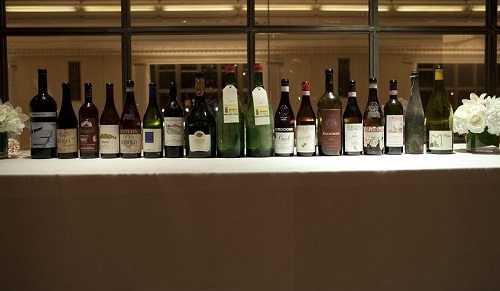 Readers can view a short introduction to the wines of the evening here, and can also watch Eleven Madison Park’s Wine Director Dustin Wilson as he decants Bartolo Mascarello’s 1958 Barolo from 1.9 liter magnum. 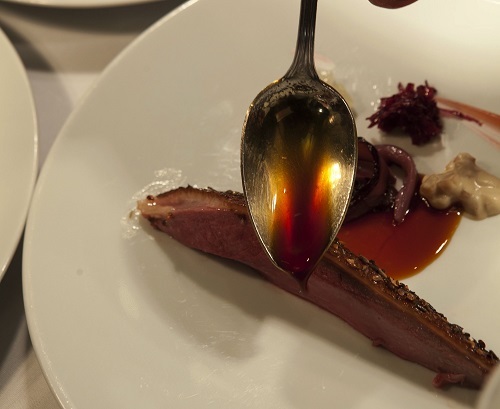 Executive Chef Daniel Humm and his team rose to the occasion with a brilliant menu. I have eaten at Eleven Madison Park many times over the years, and this was easily one of the very finest meals I have ever had at EMP. Standing in the kitchen just before service, I can already tell it is going to be a great dinner as I watch the chefs set up their stations. The raw ingredients look amazing, including a tray of gorgeous mushrooms that catches my eye. 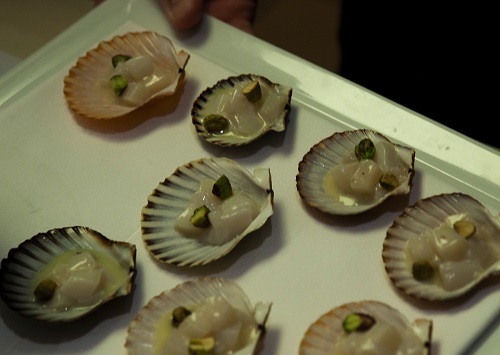 A short time after, the most pristine and beautifully prepared hors d’oeuvres start emerging from the kitchen. 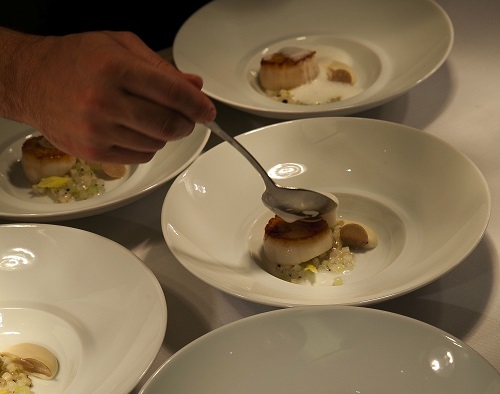 One of the highlights of the menu is the scallop with tapioca, celery and black truffle, which pairs beautifully with a flight of three diverse and equally compelling whites. I also adore the mushroom sautéed with teff and pine nuts, an earthy, flavorful dish perfect for Barolo. 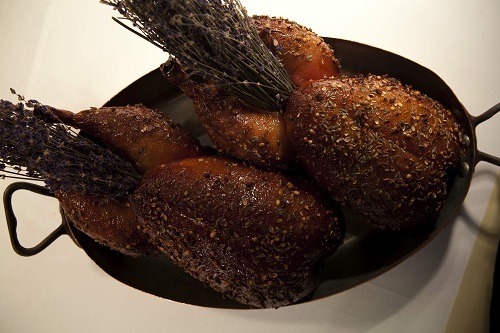 Eleven Madison Park’s chefs take it up another level with the Guinea fowl roasted with bacon and parsnip, followed by the duck with tardivo and parsnip, two signature dishes that are flat-out great. 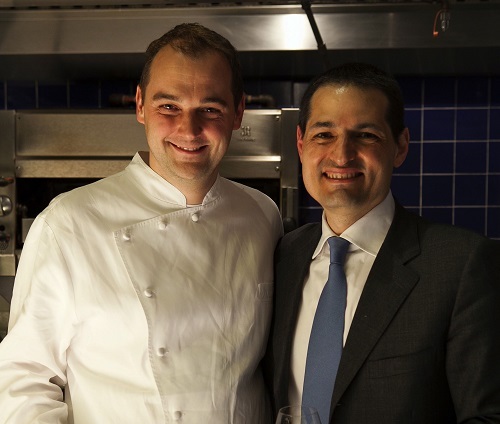 Watch as Executive Chef Daniel Humm and I discuss the menu and some of the wines here. And what about the wines? Well they are pretty spectacular, to say the least. Taittinger’s 2002 Comtes de Champagne (magnum) is one of the greatest Champagnes ever made. 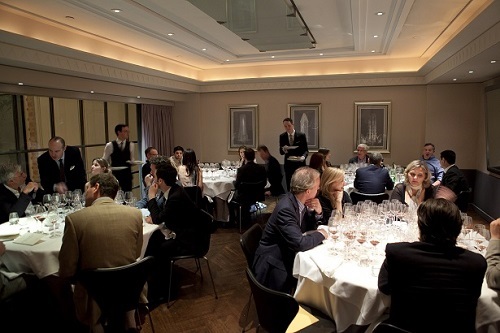 In magnum, it is especially explosive and heady, not to mention superb alongside Daniel Humm’s hors d’oeuvres, where the brilliance of the wine plays off the flavors and textures of the food brilliantly. What a great way to start this dinner. Miani’s 2009 Tocai Buri is virtually impossible to find in the market. I have never seen any magnums outside of the winery. This bottle is magnificent, with plenty of Tocai and Buttrio signatures, all given soft contours by the warm vintage. The 2001 Chardonnay Selezione La Bora di Kante from Edi Kante, is firing on all cylinders with its Chablis-like intensity, minerality and pure drive. But it is the last wine in this flight that leaves attendees speechless. Last summer, during a visit to Terlano, in Alto Adige, I had the opportunity to taste a number of older wines back to the 1950s. I knew right away we had to have one of the wines for this dinner. The 1955 Terlano Pinot Bianco Vorberg is stunning. To provide some context, I am seated next to a group of wine lovers who have had the world’s greatest bottles many times but have never tasted a white with this much bottle age and pure pedigree. Tonight, the 1955 is spectacular. It simply doesn’t get much better than this. Time to move on to the reds. The 2001 Barolo Ginestra Vigna Casa Mate from Elio Grasso is outstanding. There are plenty of Ginestra signatures in the glass. At the same time, I can’t help noting that this small, family-run estate has since gone on to far greater heights. Still, the 2001 is an early gem from Gianluca Grasso. Roberto Voerzio’s 1999 Barolo Cerequio, from one of my favorite vineyards, is another wine I have always adored, and it is once again magnificent. I don’t remember when I bought Cappellano’s 1998 Barolo Pie Franco Otin Fiorin, but this is my one and only magnum. One of the most texturally pure and beautiful wines of the night, the 1998 shows all of its class and finesse. The 1998 Barolo Brunate-Le Coste from Giuseppe Rinaldi, also from magnum, looks like a fake, as Rinaldi sold me a few magnums years ago, but insisted that I put on the labels myself, which I did, and with little skill. No matter, the wine is big, rich, intense and everything one could ask for. Enrico Scavino’s 1990 Barolo Riserva Rocche dell'Annunziata (magnum), here in its first vintage, is another of the wines of the night. It boasts extraordinary intensity and vibrancy, not to mention remarkable polish. Still young, it is simply magnificent. Luciano Sandrone’s 1990 Barolo Cannubi Boschis is the wine that made him a super star, and rightly so, as it is tremendous. Still, this is one Barolo where I am starting to see limited potential from further cellaring. Bruno Giacosa’s 1989 Barolo Riserva Falletto is another of the wines of the night. The pure texture, aromatic presence and structure of Nebbiolo are simply captivating. The 1988 Barolo Rocche from Vietti is pure class, even if 1988 isn’t one of the truly great vintages for this iconic Barolo. Brovia’s 1985 Barolo Rocche makes for a fascinating contrast, as the warmer year yielded an open, rich, resonant Barolo loaded with sexiness. Borgogno’s 1982 Barolo Riserva is outstanding, but frankly it is a bit overwhelmed next to some of the other wines on the table. Cavallotto’s 1978 Barolo Riserva Bricco Boschis Vigna San Giuseppe, from one of the all-time great Piedmont vintages, is superb, even if the style is a bit rustic. The 1971 Giacomo Conterno Barolo, from the pre-Cascina Francia period, has long been one of my very favorite Conterno wines, and these bottles don’t disappoint. Here the elegance and finesse of one of Monforte’s top sites is beautifully balanced by the structure of the year. 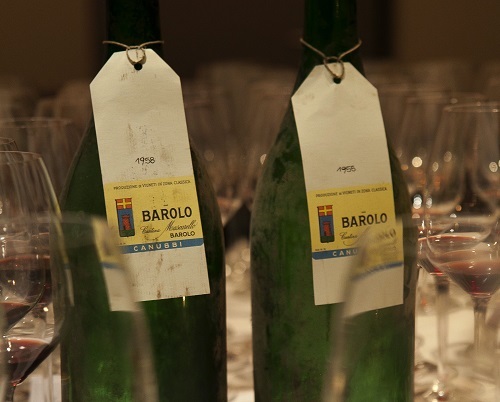 What can I say about the two Bartolo Mascarello magnums from the 1950s? More than wine, these bottles are historical monuments that represent one of Barolo’s most important families and estates. Opinions are varied throughout the room. Some guests lean towards the 1958 Barolo, which remains powerful and structured, but I have a slight preference for the 1955 Barolo, as it is more perfumed, silky and finessed. Both are drop-dead gorgeous. 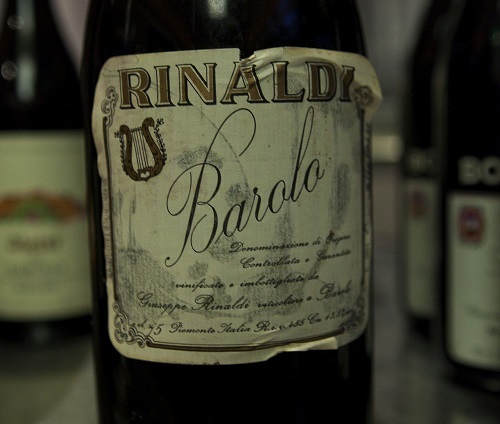 Giuseppe Rinaldi’s 1961 Barolo, a last minute addition, is fascinating. We open two bottles, both purchased from Chambers Street Wines, one of New York City’s most reliable shops. The first bottle is unusually dark and intense, probably from the addition of Barbera, the other is more inline with what a 50 year-old Barolo should be. Both are interesting to taste, to say the least. The Paul-Marie & Fils "Devant La Porte" Grande Champagne Cognac, a single cask of 1951 Cognac bottled by micro-négociant Nicolas Palazzi, is a fitting end to this great dinner. Still as fabulous as it was a few years ago when I first tasted it, the Devant La Porte remains stratospheric.